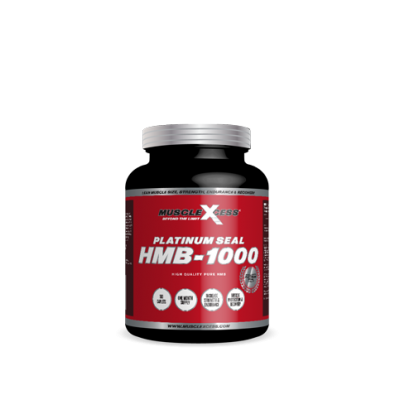 Muscle Xcess Platinum Seal Ultimate Mass has been formulated by champions to build future champions. Palatinose – New Super Carb which does not create blood sugar spikes, leads to a perfect release of glucose energy while providing an increased level of fat oxidation where the body utilises stored fat for energy. Micronised Oats – Providing a Sustained Energy Release, reduces cholesterol and high in soluble fibre. Inulin – A probiotic soluble fibre which helps the digestive system work more efficiently and increases Calcium and Magnesium absorption with no impact on blood sugar levels. 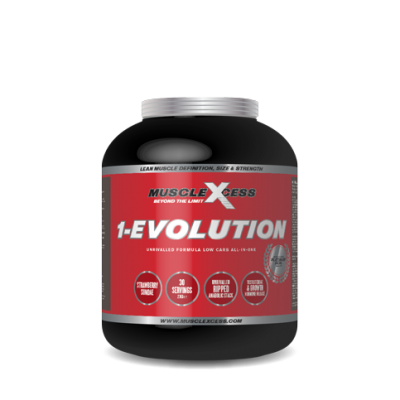 Maltodextrin – Providing Rapid Muscle Building Glycogen Replenishment. Precision Protein Blend – Milk Protein Concentrate(80% Micellar Casein, 20% Whey Protein) Micro Filtered Whey Protein Concentrate and Egg White Protein to provide a sustained release of Fast, Medium and Slow Digesting Proteins. 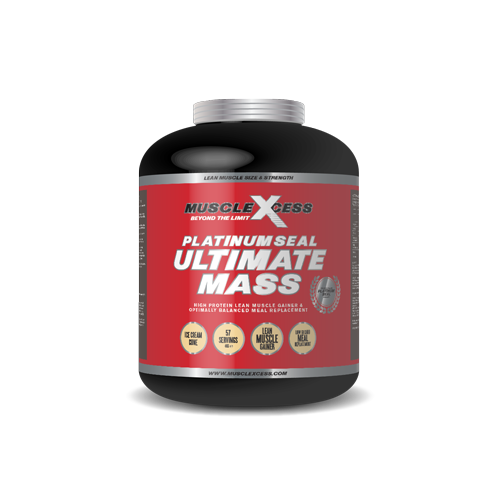 Platinum Seal Ultimate Mass is a Perfectly Balanced Meal Replacement which tastes amazing, very convenient and quick to prepare. SUGGESTED USE: Add 2 Rounded Scoops (70g) to a shaker or blender containing 200-300ml of water or skimmed milk, consume 2-3 servings per day, for lean mass building ensure 1 serving is consumed around1 hour before and another immediately after workouts, also consume between meals for Ultimate Lean Mass Building. Whey protein concentrate WPC80, egg white protein, milk protein concentrate MPC85 (80% micellar casein, 20% whey protein), micronised oat powder, waxy maize starch, palatinose, peptide bonded glutamine, inulin, maltodextrin, flavouring (chocolate), natural colouring (fat reduced cocoa), thickener (carboxymethyl cellulose), sweetener (sucralose), digestive enzymes. Whey protein concentrate WPC80, egg white protein, milk protein concentrate MPC85 (80% micellar casein, 20% whey protein), micronised oat powder, waxy maize starch, palatinose, peptide bonded glutamine, inulin, maltodextrin, flavouring (strawberry), natural colouring (beetroot red), thickener (carboxymethyl cellulose), sweetener (sucralose), digestive enzymes. 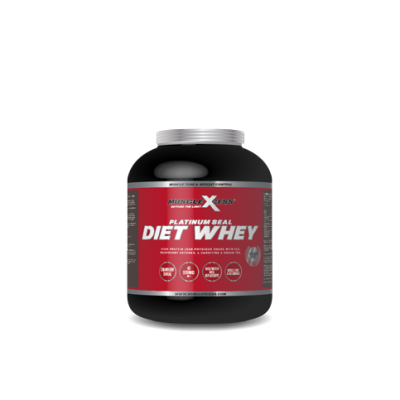 Whey protein concentrate WPC80, egg white protein, milk protein concentrate MPC85 (80% micellar casein, 20% whey protein), micronised oat powder, waxy maize starch, palatinose, peptide bonded glutamine, inulin, maltodextrin, flavouring (vanilla wafer), thickener (carboxymethyl cellulose), sweetener (sucralose), digestive enzymes.